I found CrossFit in the late summer of 2010, after retiring from 18 years of gymnastics. CrossFit was a natural fit for me, but I was surprised that it helped me get in even better shape than I ever was during my gymnastics career. My favorite part about Calibrated CrossFit is the community Arjuna and I have created because it makes training and coaching there the best part of my day. I love seeing members progress. People starting from all different levels of fitness continue to excel and it motivates me to train harder and to expand my knowledge base as a coach. Because I’ve witnessed these results firsthand, it is my goal as co-owner to make our methodology at Calibrated something that anyone can follow throughout their entire life to greatly enhance their personal health and wellbeing. 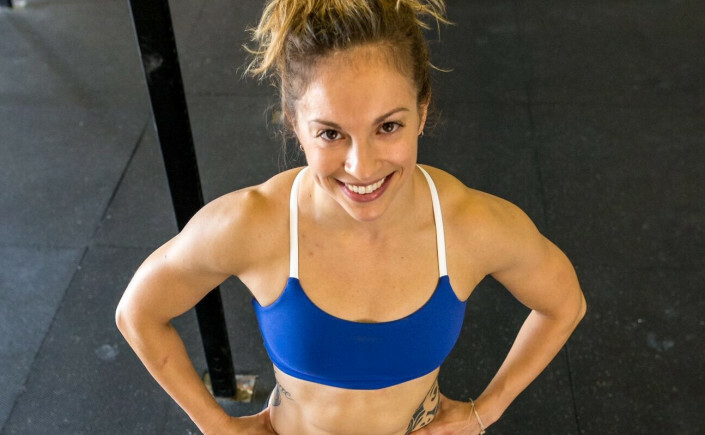 I am also a mother who did CrossFit throughout my entire pregnancy and firmly believe that appropriate exercise is essential for a safe pregnancy. I am extremely excited to help other mothers use their fitness to achieve a happy and healthy pregnancy, labor, delivery, and postpartum experience.